There’s no denying that the better you look, the better you feel about yourself. Looking good is, whether we like it or not, a common ingredient in confidence. Bad hair days are like colds. They are inescapable. As much as we try to avoid them, we all have them from time to time. Here are a few ways to deal with that unmanageable mane, as well as a couple of tips to help you avoid the issue altogether. Having split and rattail ends is often a contributing factor to a bad hair day. The healthier your hair, the better it will look. 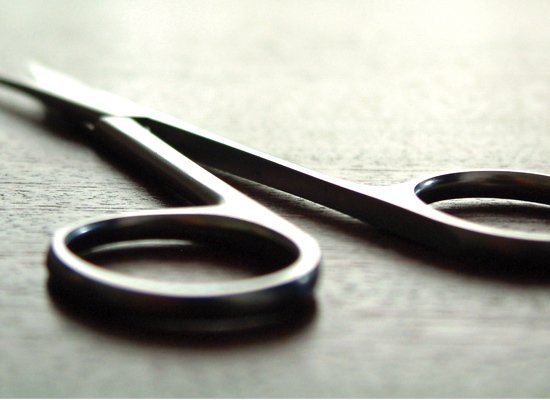 In order to avoid split ends, get your hair trimmed regularly. This keeps the hair from splitting, leaving the ends looking healthy and happy. If you haven’t had the time to go get a trim or if the rattails are creeping up on you, a quick and easy way to mask them is by blow-drying your hair. Use a round or flat hairbrush to fold and curl your hair inwards while blow-drying. If you’re in the midst of a bad hair day, something as simple as a bobby pin can make a huge difference. Always keep a few of these magic pins handy. When your hair starts to get out of hand, use them to pin the stray strands up. This can work especially well with short strands that have a tendency to misbehave. It’s a handy trick for people who have bangs or fringes that sometimes stand up or curl the wrong way. Sometimes, though you may have got the perfect blow-dry, or even when you’re having a great hair week, you can wake up with a horrible head of hair. On those stressful mornings, trust the hair products at your disposal. If your hair has fallen flat and what you need is volume, use a dry shampoo. The reason your hair falls flat is probably due to oiliness. You can try making your own dry shampoo or buy one. Sprinkle the right amount on your roots and scalp, and ruffle it with your fingers. Then run a comb through it to ensure it spreads evenly. You will see a noticeable difference when the dry shampoo soaks up the oil. Now you’re good to go! Another nifty trick to create volume is to use a blow-dryer. Flip your hair forward and blow-dry. Avoid using a brush or a comb as that will flatten your hair. Using your finger to separate strands, blow-dry the back and sides of your hair. When you flip your hair back, it will look fuller. 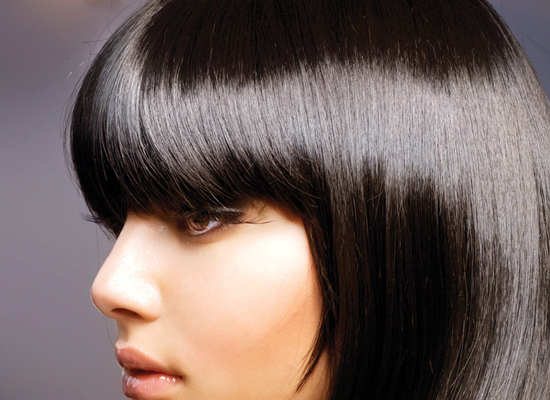 Teasing your hair can also help create the illusion of volume. Grab bunches of hair and carefully and delicately comb your hair outwards in (towards the roots). Teasing is great to get a messy and full look, but can result in a tangle. Tease at your own risk! Something as simple as changing your parting can help on a bad hair day. If you’re used to wearing your hair to the right, try flipping it to the left. If you usually wear your hair with a centre parting, shift between both sides. Hairspray can be an absolute lifesaver when it comes to getting your hair to behave, but we recommend picking the right one. Be careful because hairsprays can end up doing more damage than good to your hair. Use as natural a hairspray as you can find. One of the most convenient and effective ways to handle a bad hair day is to tie it up. Slicking your hair back can give you a classy, evening or corporate look. The great part about it is that you needn’t worry about the texture of your hair. 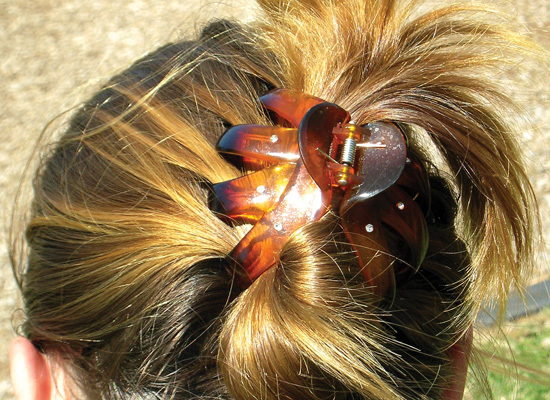 To make this hairdo a little more fun, take two strands and make a bow around the pony, or simply make a fun bun. Quick and lovely hairstyles like the chignon or the high bun can turn a bad hair day into a fashionable one. Using hair bands, fun pins and scarves can work well to distract people from the bad hair. You can try the classy, retro look by pairing a printed scarf with a pair of sunglasses and bright lipstick. A hair band can work wonders if the hair around your hairline refuses to stay put.